I am writing this letter in response to an article titled "The clash of Intolerance" published on the Star on 21.09.2012. I was dismayed to see that like many of the reports of your newspaper on this particular topic, even this article didn't mention 'Peace be upon Him' beside Prophet (SM)'s name. It is said in an authentic Hadeeth that one who does not send peace to Prophet (SM) will be destroyed. I strongly protest against the film and the way France added fuel to the fire after publishing those cartoons - it is simply disgusting. I'm also against the way protests are being held in many Muslim countries. Burning tires or destroying one's property is not the way to protest. I have seen on Facebook that many British Muslims protested against this heinous act by distributing the teachings of our beloved Prophet (SM) in the form of books to both Muslims and non-Muslims. We can learn a lesson from those brothers and sisters. We the entire Muslim Community have to stay united and boycott the so-called famous brands of USA and France, let it be food and beverages or any form of clothing. We Muslims should also send peace to the Prophet (SM). There are a lot of peaceful and effective ways to protest. The main target of the filmmaker was to defame our Prophet (SM), to defame Islam. In reply we should be patient and spread the peaceful message of Islam taught by the Holy Prophet (SM). 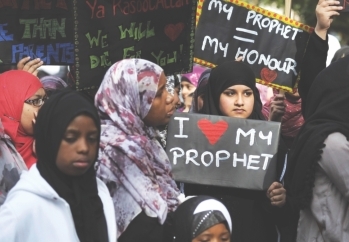 Through our protests, we have to show that Islam is the best religion and that our Prophet (SM) is the best example to mankind. May Allah give us all the capability to protest in proper Islamic manner. I would like to thank the writer of the amazing and funny article “Back to School,” published on September 21, 2012. Though it is about her experience with the GREs, it reminds me of my preparation for the IELTS test last year. I didn't go to any coaching centre. I had had two days to prepare and within a week I was tired and bored of practising listening, reading, writing and speaking. On the day of the test, as I went to the exam hall, I felt a pressure I can't describe (I was like a fish out of water!). Looking at the serious faces of the test takers, I panicked and hoped that the test would end with as few problems as possible. Finally, when the test was over, I was relieved, but then a new panic began waiting for the result. The day when the result published I was the happiest man with a good score! The cover story published on 21.09.12 was well-timed. I heartily thank the writers for presenting such a hot issue in a simple and easy way before the reader. The banking business is based on people's trust. Some days ago, in Germany, it was found that most people trust their central bank more than God. The efficiency of Bangladeshi bankers is recognised all around the world. 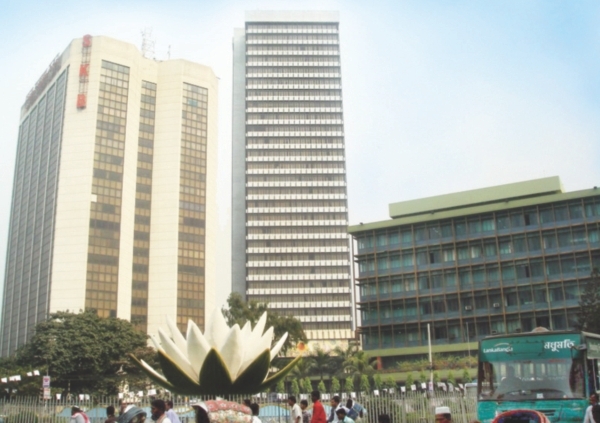 During recession, Bangladesh proved its prudence by taking a well-timed monetary policy, thus saving our economy. But the banking sector's credibility has been ruined by the recent loan scam at Sonali Bank Ltd. It has called into question the sincerity and potentiality of the profession. Stern steps need to be taken against the culprits so that people can trust this institution again. But we are doubtful if the guys will be punished in the coming days. History teaches us that people like them always escape punishment. A lot of small investors in this country have lost their capital in the stock market. Many of them became helpless in the hands of Destiny and Unipay-2U. But the men responsible for their plight are still not under trial and the people couldn't get back their lost fund. The state should come forward to save its people. The article, 'Turning a Blind Eye', in the Star made me terribly disappointed as well as ashamed. How can witnesses remain silent or pretend to see nothing while observing a young woman being raped? Was there anyone to protest this or were they all enjoying this sexual harassment? Women all over the country, not just in Dhaka, are victims of sexual abuse and harassment. We read about such incidents in the pages of newspapers everyday. But how long will they go on? If we do not come forward against the rapists, they will be encouraged to continue these deplorable acts. This unhealthy situation leads the assaulted women to live a traumatic life and often the victims cannot cope with the pain and humiliation our society subjects her to. Moreover, there are very few people in our society who can understand and sympathise with their painful experience and care for their mental wellbeing. Our societal norms also further disgrace those helpless women. To create a safe and secure society for our mothers, sisters and wives, everyone should strongly protest whenever any woman falls victim to gender harassment. It is an urgent task for our law enforcement department to arrest these men and give them appropriate punishment.